The Airflex Jacket has been engineered for today's modern performance athlete. 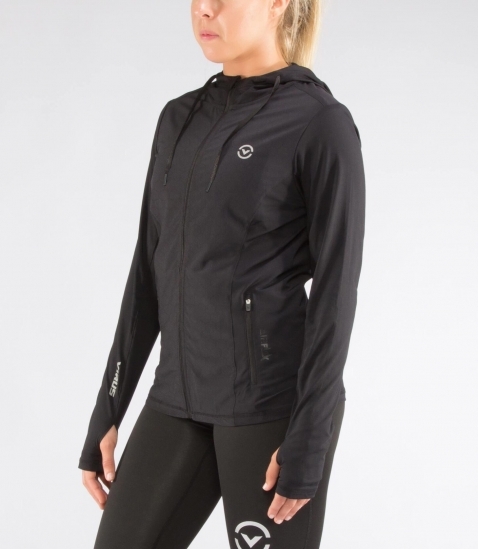 Designed with a lightweight 4-way stretch fabric that moves seamlessly with you and not against you.This jacket features a built in back ventilation system allowing for increased airflow during physical activity. Equipped with reflective accents to increase visibility in poor light and a hand tailored scoop cut for an elegant finish.